The Autosealer® 5500 comes complete with a color, touch-screen, human-machine interface (HMI) featuring navigational menus, counters, prompts, statistics, and more. Also available upon request are flexible robotic machine loading or dedicated feed systems for full automation. Its optional vision inspection verifies sealant assembly on cartridge case mouth and primer. Equipped with Hernon’s digital Sureshot® 3500 dispense jetting system, the Autosealer® 5300 provides consistent and precise fluid control without making contact. 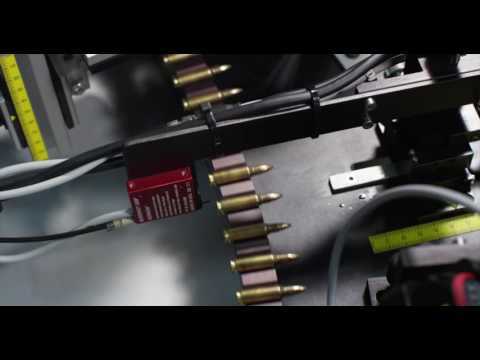 The system enables the operator to dispense precision micro-shots of Hernon® sealants onto each cartridge, primer interface and bullet interface with extreme accuracy in high-volume production industrial environments.